Midfielder Steven Defour would be more than happy to extend his stay in England with Burnley – before a romantic return to where his career began. Defour started every Premier League game this season before a knee injury forced him to undergo surgery last week. It is a far cry from his debut season, when he flitted in and out of the side after his £7.4m arrival from Anderlecht, starting only once after the end of January. But he knuckled down in pre-season and played a major part in the Clarets climbing into the Champions League places briefly in December. Their start was so impressive, despite taking five points from the last 30 available, they remain as high as seventh. Defour admits the team spirit is as good as anything he has experienced in a career which has taken him to Porto and won admirers such as Sir Alex Ferguson, with a move to Old Trafford scuppered by a foot injury. 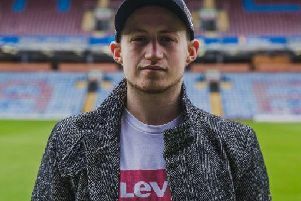 Representative Christian Pala admitted he would be prepared to talk about a new deal, with his current contract running out in the summer of 2019: “Steven is happy at Burnley, he had a good season until the injury, and if the club offers a new contract, and everyone can find an agreement, why not? “He is going to be 30 in April, and probably has still got one big contract left before he ends his career, maybe in Belgium, so we’ll see what happens. “He would like to finish his career where it all started at Mechelen, but that depends if the clubs is still playing in the first league in Belgium, so there are still some things to be seen in the next three or four years. “Steven is happy, but this will probably be his last big contract so everything has to fit. “I don’t think it will be difficult if everybody understands which way we want to go, and the club wants to go, and how we feel each other and how we think about it. And he praised Sean Dyche’s role in Defour’s renaissance at Turf Moor: “I think last season and the summer was difficult, to think ‘okay, we are going to stay’. He didn’t play a lot and lost his confidence and what he needs to be an important player. “But after some good conversations, with myself and Mr Dyche, he went back and showed what he can do, and they had confidence in him. “All credit goes to Steven, the rest to the manager and myself, we all did our part, but especially the manager and mostly Steven. “He’s shown what he has to offer and why the club signed him, and is happy with his season. It is only the injury he isn’t happy with! “But he has had a great season, and is showing he is capable of playing in the Premier League, and being a big part of the team. “He can be important to the team, and he is showing he is that man, that player, who can help the club move forward. “The main thing is he has played well this season and I think the club will show their appreciation. “Steven wasn’t having a good year last year, and was thinking of going away, but he decided to stay and has got confidence and shown he can play in the team and play at the biggest level. “The club knows that but are still playing a big part in the season, with some important games. Defour had broken back into the Belgium squad ahead of the World Cup, and Pala added: “He is playing in the biggest league in the world, in a team where, for the first time, he feels like it is a real team, where everyone fights for each other, and he feels really appreciated. “It’s important he feels confident – it’s not only playing with your feet, showing your talent. “The difference between last year and this is he is now a key player, playing every week, getting more confidence. And he understands more the club and how the manager works.